Ahold Delhaize USA has partnered with Deliv to provide same-day online grocery delivery from their Giant Food Stores and Martin’s banners. The initiative will be implemented through the Peapod subsidiary of Ahold Delhaize. A pilot has been initiated in Willow Grove, PA offering 1-hour delivery with four hours advance notice. Orders will be placed through the Peapod.com online operation. 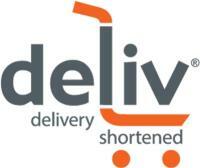 Currently Deliv serves 35 major markets and is affiliated with 4,000 retailers.